An affectionate and anecdotal story of the struggles of the individuals who created the first professional ballet company in Canada. The first of its kind, this lavishly illustrated narrative traces the development of ballet and modern dance in Canada from its earliest beginings to the present day. Out of print, but copies available from the author (use the contact page on this website). 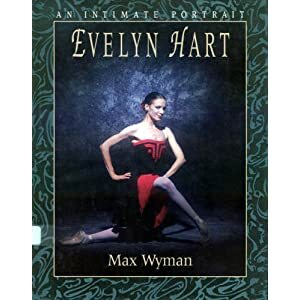 The tragedy and triumph at the heart of the legendary career of one of the greatest ballerinas Canada has ever produced. A broad selection of criticism and commentary from magazines and newspapers ranging from The New York Times and Dance Magazine to The Vancouver Sun and Maclean’s. Plus a blow-by-blow account of a celebrated dispute between National Ballet of Canada artistic director James Kudelka and ballerina Kmberly Glasco. A passionate manifesto asserting the central importance of art and culture to modern society. Originally published as a trade paperback, it is now available in e-book form.